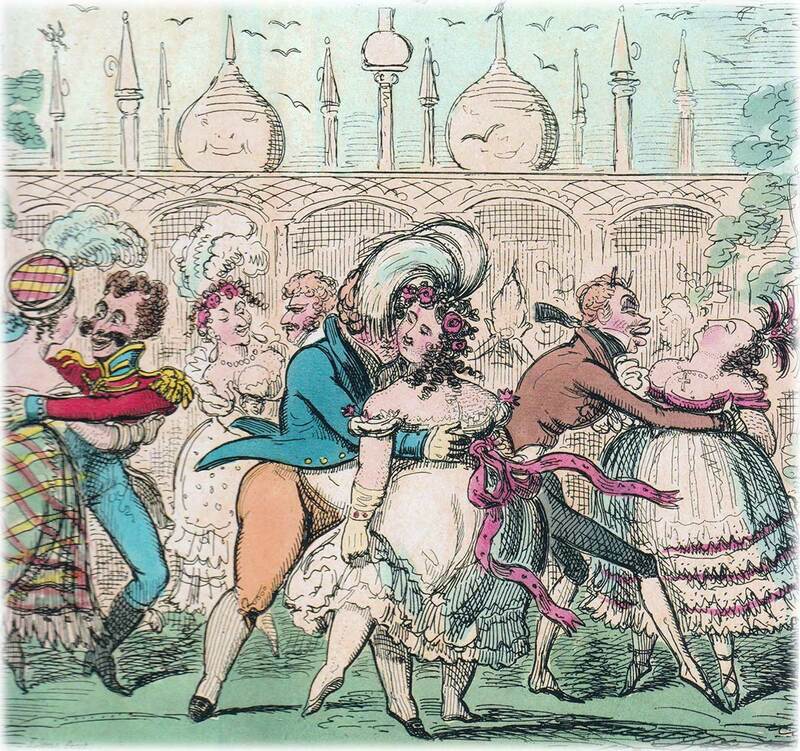 The “Royal Pavilion at Brighton” playing cards, depicting caricatures of Regency period life, is also known as the “Regency Deck”. The Royal Pavilion is a former royal residence located in Brighton, England. It was built in three stages, beginning in 1787, as a seaside pleasure retreat for George, Prince of Wales (from 1811 Prince Regent), in an opulent Indian style with extravagant chinoiserie interiors. 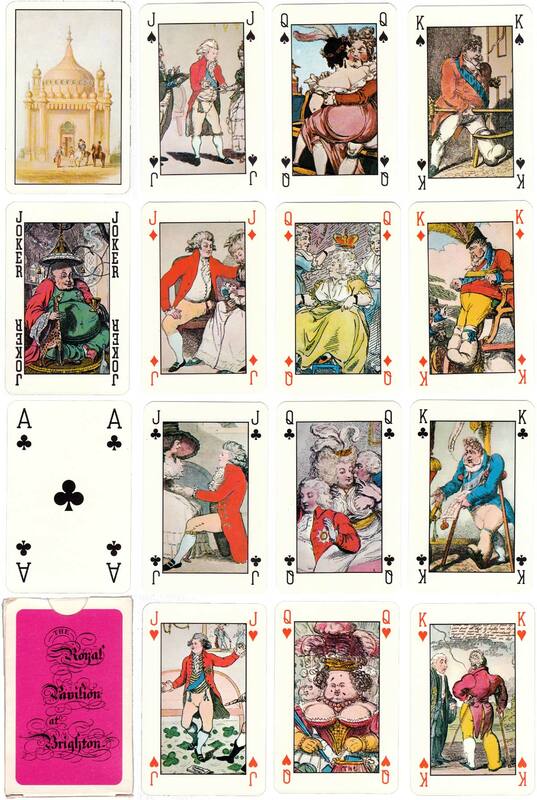 Above: The Royal Pavilion at Brighton playing cards printed by Carta Mundi in association with the Royal Pavilion, Brighton. 52 cards + 3 jokers + score card in box. Images courtesy Rex Pitts & Matt Probert.